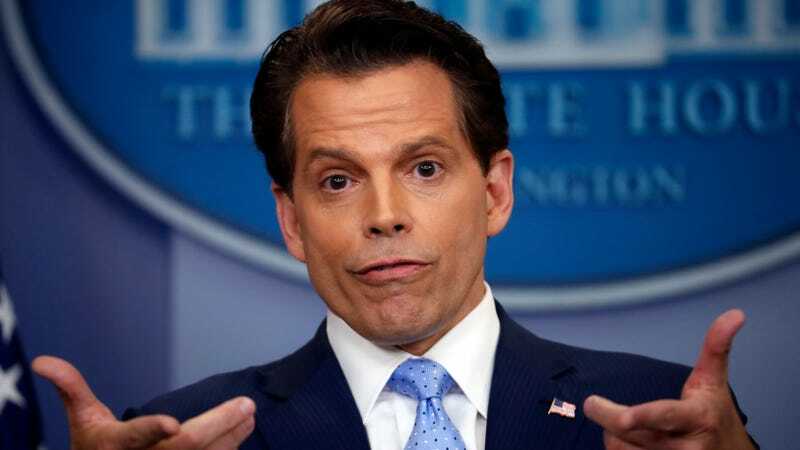 President Donald Trump remains at least relatively sure it is not him but everyone else who is the titanic idiot, per freshly hired goon and White House communications director Anthony Scaramucci, who said on Sunday Trump still does not believe Russia was behind the 2016 hacks into Democratic email systems. While Scaramucci neglected to note every US intelligence agency has publicly supported the conclusion the Russian government was behind the hacks, he did add Trump will require more time to make up his mind on the issue. For a brief time this summer, a glimpse of a more lucid Trump seemed to shine through, with the White House saying the president agreed it was “probably” Russia. But Trump is a flat circle, and not a very big one. In any case, this weekend Trump also seemed to hint he believes he could just pardon himself and anyone else on his team federal investigators find colluded with said hackers, so that’s nice for him.